Hey Friends- thanks for the AWESOME response to being a part of our sharing team for One More Step. We have hit the 24 hour mark and the response has been so tremendous that I need to cap the number of participants. Looking forward to all that God does through this team!! The diagnosis didn’t turn out to be what you hoped. The savings didn’t last through the economic strain. He chose to tell you that he doesn’t love you anymore. When hard seasons come into our lives, convincing ourselves that they won’t last forever is a battle. But we don’t have to fight the battle alone! Hope rises to greet us when we find the strength to take one.more.step. Thank you to the prayer posse!! Over the last couple months, I’ve requested your help and you have been so gracious. 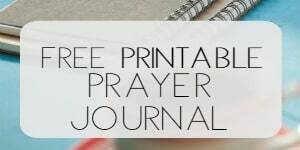 First, when we formed the prayer team for the release of One More Step: Finding Strength When You Feel Like Giving Up, over 400 of you agreed to join in weekly prayer. And you have gone above and beyond by not only praying, but each Monday after the prayer email is sent, I receive emails from many of you with encouraging notes and heartfelt prayers. I can’t tell you how much that means to me! Thank you to the brave storytellers! Then, I asked you to share your experiences with what helped you most when you were at your lowest places in life. Many of you courageously explained difficult situations and scenarios, as well as the ways you have clung to God through it all. I treasure your willingness to share both the crazy circumstances and beautiful blessings of your lives! Today I’m excited because I have an opportunity to give back to you. 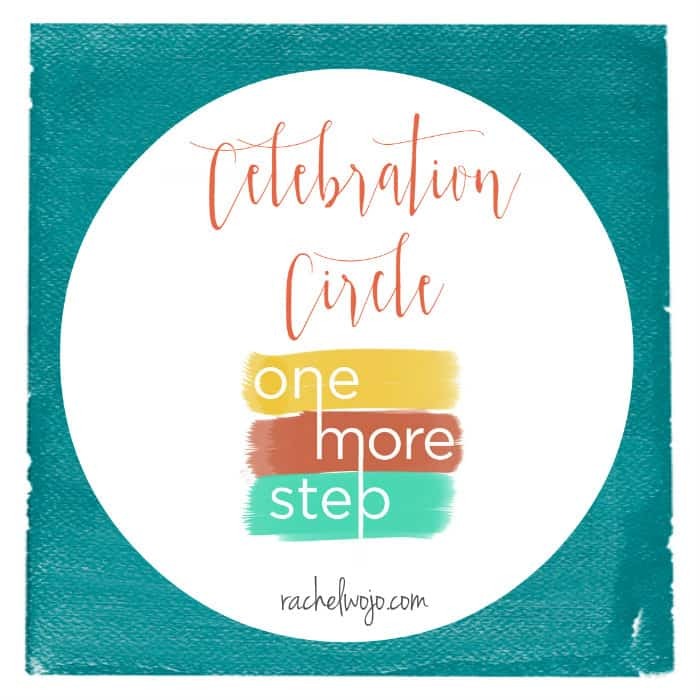 I’m asking you to join me in the Celebration Circle for my book, One More Step. This book is what I would share with you if we could have coffee together. It’s more than a “keep going, you can do it” speech. This book is a journey of discovering courage and strength with simple, practical steps you can take when everything is going wrong. I had the privilege of receiving a copy this last weekend and I started this morning on my flight home. I can’t put it down!! I’m almost done reading it. I can’t remember the last time I read a whole book in one day. I recommend this book to every single woman. A must read!! 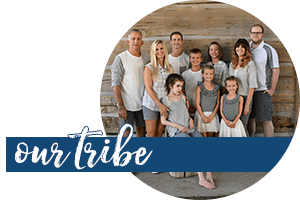 The Celebration Circle is a team of people who want to share what God is doing through his work of One More Step. Because we all know that any good that comes from us is because of him, amen? You agree to read the book and send an email to me at rachel (at) rachelwojo (dot) com with your personal story of overcoming obstacles and your thoughts and experience with the book. In the email, you need to indicate if you are willing to have your story shared with my readers. It doesn’t have to be long, 3 0r 4 sentences is fine; but you can write more if you’d like. You will be the first to know about all the fabulous FREE One More Step resources I will be releasing in the next couple weeks!!! After your introductory email, you will receive 2 to 3 emails a week for approximately 6 weeks before and during book release week. (The emails will not begin until September; I know it is a busy season for many of you!) The email will contain click-to-share info for your social media channels. Whether you are on Instagram, Facebook, Pinterest, or Twitter, you’ll have a simple way to share. 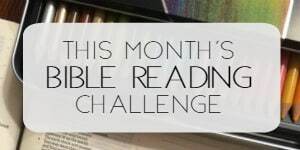 It is your choice to share what resonates the most with you and by signing up, you are indicating that you plan to share either Bible verses, prayers, statements from the book, or stories of changed lives. HOORAY! Alright, Friends. That’s it! Let’s just see what God wants to do with willing hearts, shall we? Celebration Circle is FULL! Thanks for the wonderful response and stay tuned for upcoming related events! Yippee! I’m so excited for you and for this book to launch into the world to touch many people. I am blessed to know you!! Praying as you continue through this process! Hugs!!! I got a copy of your pre-release at the She Speaks conference. I can’t wait to begin reading and being a part of the celebration circle. Praying for you and this book over the next couple of months. So glad to see all that God is doing through you. Be blessed. I know this is so exciting for you and looking forward to reading your book! and help so many women. Blessings to you Rachel. Bless you, Barbara! God is good. I’m so happy for you and can’t wait to read your book. Hope I’m one of the lucky ones to get a pre release of it. I’m sure it will be great. Thank you for the opportunity. I’m so excited for you and for this book! Super excited to share this book with some of my family and friends! Always in my prayers – can’t wait to get the book and if not one of the 150 to receive it, will still get it. May you and your ministry be blessed my friend! I am so excited to read your book. You have been such a positive influence in my life and I’m very thankful that I was able to learn about you and listen to you during the women of wisdom conference. That was truly a life changing time for me and I have followed you since. I hope that I am one of the first 150. So excited to read and then to tell you my story as well. Thank YOU! Blessings to you, Heather!!! God is good! Your daily posts and website have been such an encouragement, thank you! Thanks be to God for the wonderful gift of you, Rachel! You are a wonderful prayer and encouragement warrior to so many, especially me! When I am having a struggle day I tend to turn to your beautiful encouraging words that lead me straight to Jesus feet and The Word. So many days can be such a struggle, but because of the hope we have in Jesus, the power of the cross and your wonderful guidance to help us remember these truths, my days are turned back to blessing! God is good, Cathy. Thank you for your encouraging words!